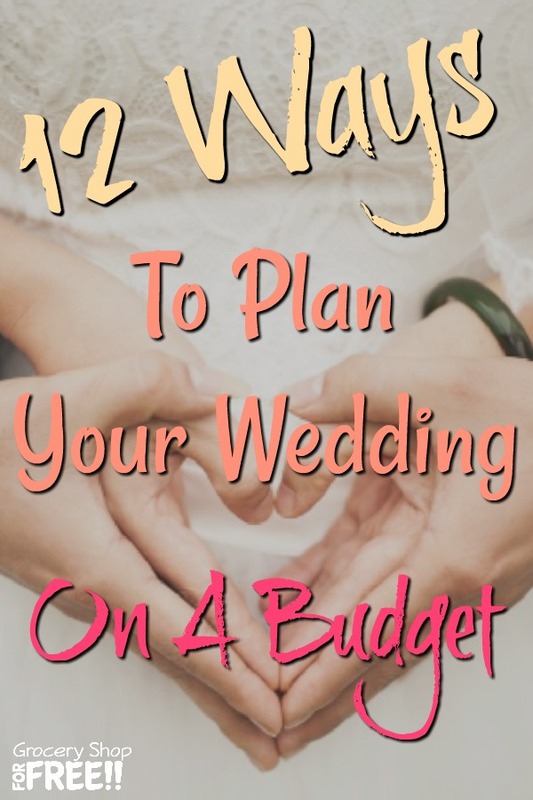 You are here: Home / Finance / 12 Ideas For Planning Your Wedding On A Budget! Your wedding is one of the most important days of your life. But, let’s face it: getting married can be very costly. The average cost of a wedding is more than $35,000, making it one of the most expensive events in people’s lives. As a matter of fact, it is more expensive than giving birth – $32,000, or buying your first car – $31,000. The Knot released its annual report on wedding trends, and the average cost for 2016 comes to … drum roll please … $35,329. This is an 8 percent increase from the 2015 average of $32,641. That’s a national average, with a lot of variation across the country. Now, not everyone has that kind of money for this life event, or maybe you do, but, you see the value in not spending that much for a wedding. You can still have a fun, stylish, and memorable wedding while saving money at the same time. There are many unique wedding ideas on a budget you can accomplish. A DIY wedding, or a wedding on a budget is not something to be overlooked when going through your wedding ideas. It’s important to think about the future and decide your wedding budget based not just on one day. Here are some wedding ideas on a budget that will still make your day memorable but not as financially stressful. Do you love the look of hand-painted invitations, but, not the steep price point that comes with them? Instead of ordering a set of custom invitations, you can have a graphic artist create a digital design that you love and print it at home. 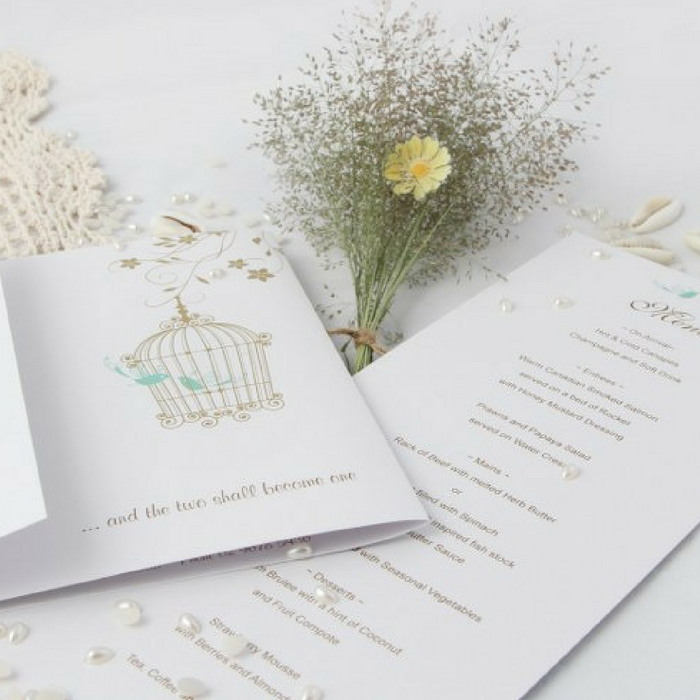 With a quality home printer, you can make the invitations on your own! You can also have a professional create a digital invitation for you that you can send to your friends, colleagues, and relatives. The final result will be beautiful and unique, but, the cost will be your little secret. Instead of giving away a reply card, have your guests RSVP on your wedding website or app. You will save a ton on paper and postage, plus, more guests respond digitally than do through snail mail. Also include your your mailing address for elderly guests who are not as tech-savvy. You may skip the standard officiant and instead, ask your friend to get ordained to marry you and the love of your life. This will not only yield big savings, it can make the ceremony more personal too! 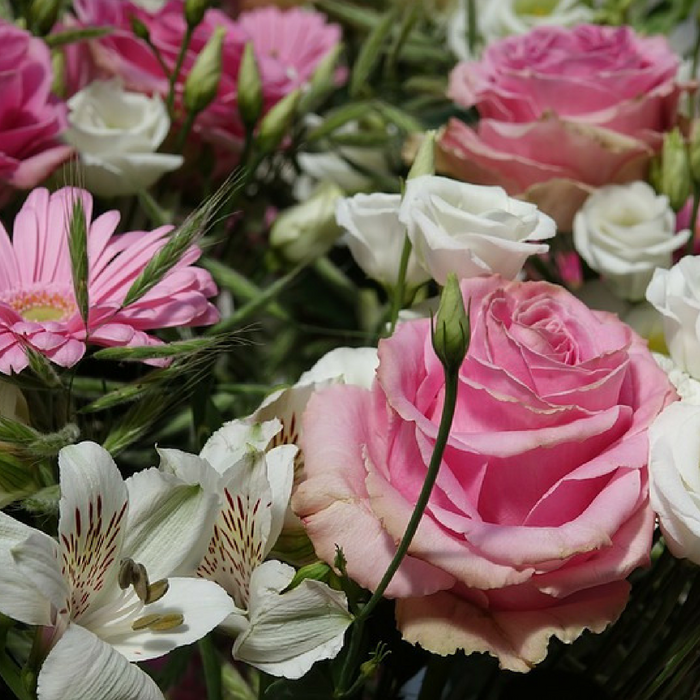 Flowers can be one of the most cost consuming parts of a wedding ($2500 on average). But, there are things you can do, from making your own boutonnieres, corsages, bouquets, and decorations, to using artificial flowers that will last forever. For our wedding we bought some artificial and used some fresh. We made all of the arrangements ourselves. Choose a place that means something to you both, your parents backyard, a lake, a park, or where you first met, or got engaged. Choosing a more personalized venue will mean more than choosing an expensive, impersonal rental hall. We were married in my childhood backyard, exactly as I had always imagined the ceremony as a girl, the path my father and I would take, where the officiant would stand, where my guests would be. To me, that was more personal than a rental hall. If you are getting married in a garden or outdoors, you might want to consider a standing ceremony to save on seating rentals. But don’t forget to bring a few chairs for your elderly guests so that they can be comfortable and enjoy the day, as well. Photo booths are a staple at wedding receptions, but, they can also cost a ton. 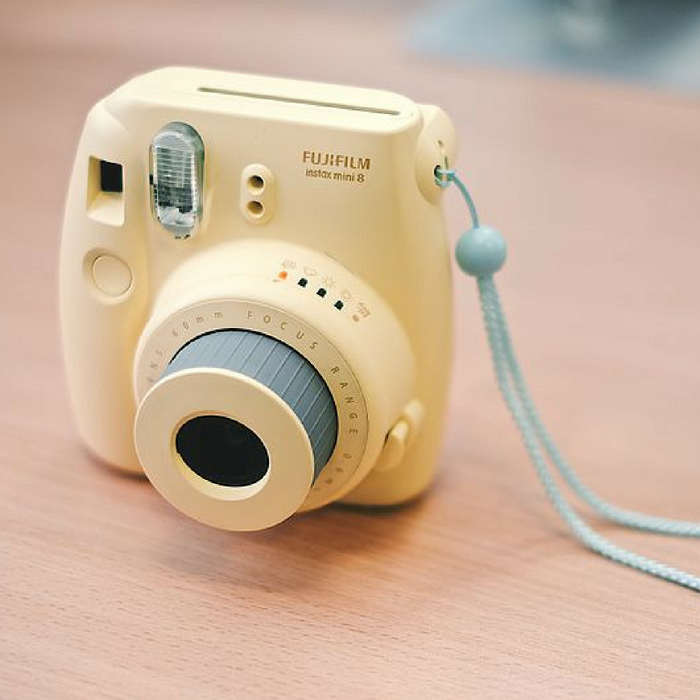 Forget the rental photo booths and buy a Fuji Instax or a digital Polaroid instead. Set up your own photo station with a fancy backdrop and ask your guests to leave a photo with a note. This can also double as your guestbook. We bought disposable cameras for our guests and asked them to take photos and leave them at the reception for us to develop and share. We also asked a friend who was a wonderful amateur photographer to take the wedding photos, she did it as a wedding present for us. If you want to save on the dresses, try to avoid ordering custom dresses. Instead, head to the nearest store and score a deal or sale. Or instead of buying new ones, you may ask your bridesmaid to wear a particular color of the dresses that they own. Bridal shops often have great sales a few times a year, so, wait for those and shop for your dress and/or bridesmaids dresses then. I had the perfect dress in my mind and after shopping with my best friend and not finding what I wanted, she offered to make it for me. As I was describing what I wanted to her, she said “I have that!”. She had the dress I wanted and I borrowed it! 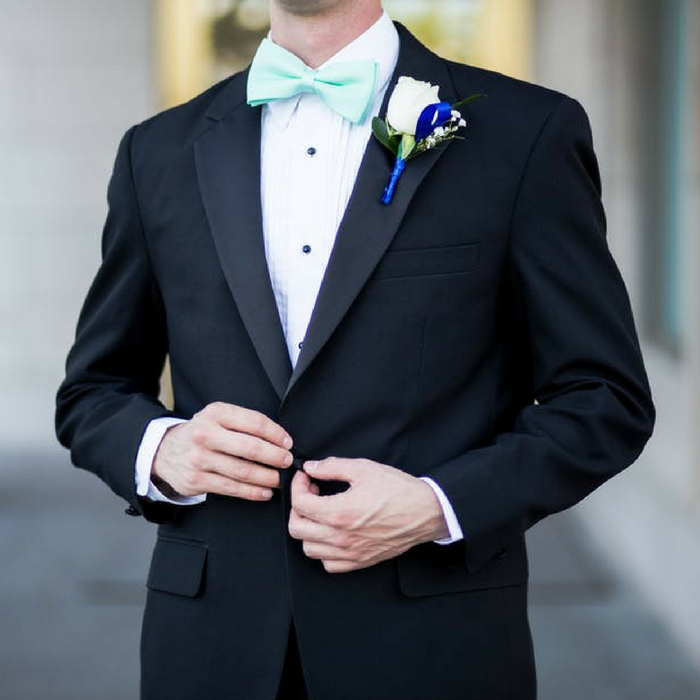 Unless you really need to buy a new one, you can rent a tuxedo for your wedding. It is also useful to rent tuxedos in a group to get a reduced rate. The food costs eat up most of the budget for a wedding (from $30 – $100 a plate on average), but, you can save a ton by letting your family handle all the cooking to reduce the prices. If it’s not your family’s forte, you can also look around your community for a family-owned restaurant and talk to the owners and ask if they can cater your wedding. Family-owned restaurants always go the extra mile to make your day special. They also have a better understanding and can help to meet your budget needs. My father-in-law cater barbecue and it is wonderful. We had him cater the wedding and everyone loved it, we just paid for the actual food. It is considered customary to give gifts to your bridesmaid and groomsmen, but it’s not always necessary. Instead of buying them gifts that they may not want or enjoy, you may consider writing them a special note of gratitude instead. The average cost of a wedding cake is $500. That’s a chunk, too. Ask around to friends and family and see who they might know that makes cakes and check them out. For our wedding my best friend and I had taken a cake decorating class many years before, it wasn’t my thing, but, she excelled in it and made many wedding cakes (as well as other types), so, as a gift, she made our cake. I hope that these suggestions help you or someone you know cut down on one or many areas of cost for a wedding. 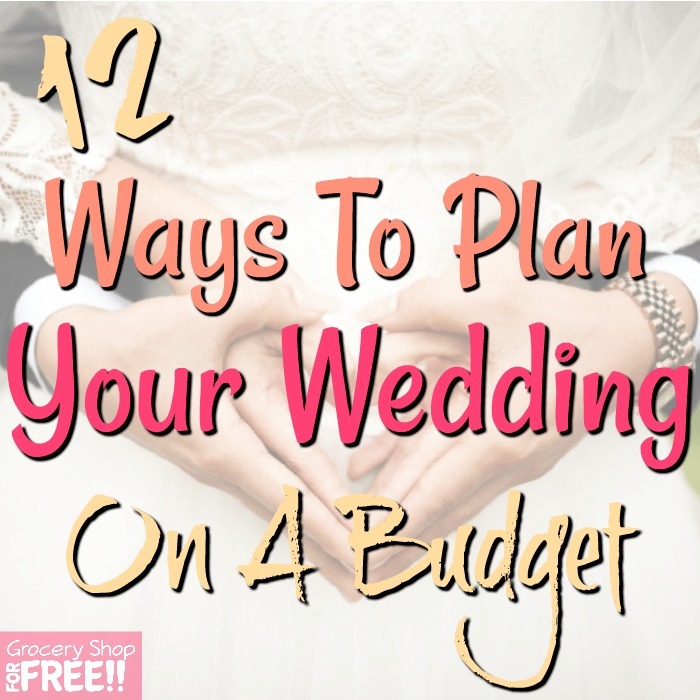 Well, I like the ideas of getting wedding dress and jewelry on rent instead of buying it because it saves lots of money and you can use it after your wedding in another way or just save it. Instead of hiring different persons for different things it is easy to choose a wedding planner who can take care of all these aspects and it saves lots of money. Well sending a digital invitation also saves lots of money. I really like to use your ideas for my brother’s wedding.